Creating an Awesome Team Page for Your Practice Website : LifeLearn Inc.
Have you ever visited a really awesome team page? Maybe it was one like Emma, where the team members reorganize every time you visit the page and when you hover over a photo, a goofier version of that person appears. Or maybe it takes a more homemade approach, like this page from Rock Kitchen Harris that features cartoons of each team member. No matter what makes them unique, we’ve all seen team pages that are unbelievably cool. Do you wish that your practice team page could be that awesome? While we can’t help you animate it or draw caricatures of your team members, there are some things we can recommend to help you create a team page that really showcases your team in their best light! Some team pages feature just pictures, names, and titles, but we think it’s always a good idea to include some interesting information, no matter how brief. Whether you’re restricting it to 100 characters or 100 words, give your team members a chance to say something, show off their unique personality, or brag about a passion they have. It helps to humanize your practice and your staff. Include extra education and impressive accolades. In addition to introducing your staff, your team page has the important job of convincing pet owners to trust you with the health of their pets.  A vital aspect of that is your education and accreditation. Pet owners are very persuaded by additional education and accolades, so if anyone on your team has extra training or awards, be sure to include that in their bio. Even if it’s education essential to the job, including it can seem significant to pet owners and may play a crucial part in convincing pet owners to choose your practice over the competition. Our favorite team pages showcase a bit of humor, whether that’s including your clinic cat and crowning him “King of All He Surveys,” or designating each of your team members as “Most Likely to __.” Humor makes your practice seem more friendly and inviting, and your staff more approachable. And getting your viewers to smile doesn’t hurt either! Don’t be afraid to be a little silly and fun. Clients appreciate a sense of humor and they want to like the people they’re entrusting with their pet’s health. Make it a part of onboarding. When you hire a new team member, part of their first or second day should be taking a photo for the team page and completing their bio. Creating a team page for the first time will always take work (especially wrangling your team for bios and photos! ), but once you’ve got one established, the easiest way to keep it updated is to add new staff members as they arrive. Take great staff photos, and keep them updated. If your staff photos still look like they were taken in the 90s, it might be time for an update. Well-lit, up-to-date photos are important because they make your practice seem more modern and attractive to prospective clients. Make sure you’re using a good camera (smartphones, and iPhones in particular, work well), and that you’re staging the photos in good lighting, such as outside on a bright but not overly sunny day. Check out our post, “7 Tips for Taking Great Photographs for Your Veterinary Website,” for more photography tips. Group staff by roles for more efficient browsing. While we like the Emma team page for its creativity, if you were looking for a particular person or team, it might be difficult to find. That’s why we recommend grouping your team page according to the different roles in your clinic, such as “Veterinarians, Vet Techs, and Front Desk,” or however your clinic is organized. This will help visitors quickly identify specific people in particular roles. Some clinics include just their veterinarians on their team pages, but we advise against this for a couple of reasons. First, the person who greets new clients when they first walk through your door is not going to be a veterinarian, unless your veterinarians also double as your front staff. It’s a good idea to help familiarize new clients with all of your staff, because they’ll probably be interacting with more than one person when they come in for a visit. Second, it helps you appreciate and acknowledge the importance of all of your staff members. As someone who has run the team page of a company before, I can tell you that people want to be on your team page. It makes them feel important and like a valued member of your business. So unless your team is overwhelmingly large and there are simply too many of you to fit on a page (we’d say that any practice with over 40 employees should probably not have a team page), don’t pick and choose who gets to appear. 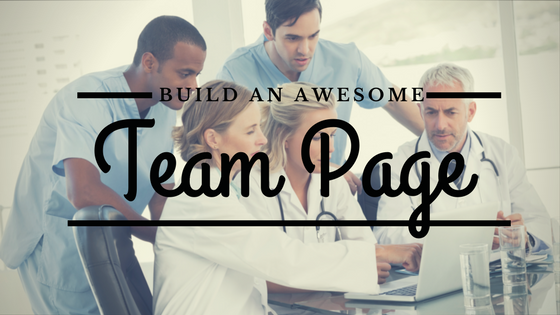 Everyone deserves a chance to shine on your team page!An awesome team page is one that showcases how amazing your practice staff is. Display your smiling faces and good humor, and clients will feel welcomed and familiar with your practice before they even walk through the door!